On the 18th (Mon), see the interesting displays at Vizcaya Museum and Gardens, then take in nature's colorful creations at Fairchild Tropical Botanic Garden, and then get the lay of the land with Walking tours. For more things to do, where to stay, reviews, and tourist information, read our Miami online visit planner . Rio de Janeiro, Brazil to Miami is an approximately 12.5-hour flight. You can also do a combination of flight and train. Traveling from Rio de Janeiro to Miami, you'll gain 2 hours due to the time zone difference. In February, Miami is slightly colder than Rio de Janeiro - with highs of 30°C and lows of 21°C. Wrap up your sightseeing on the 18th (Mon) early enough to travel to Atlanta. Start off your visit on the 19th (Tue): admire nature's wide array of creatures at Georgia Aquarium and then let your taste buds guide you at a local gastronomic tour. To find traveler tips, photos, maps, and tourist information, read our Atlanta road trip planning website . Traveling by flight from Miami to Atlanta takes 4 hours. Alternatively, you can do a combination of train and flight; or drive. Plan for cooler temperatures traveling from Miami in February, with highs in Atlanta at 17°C and lows at 5°C. Cap off your sightseeing on the 19th (Tue) early enough to travel to Washington DC. Change things up with a short trip to Mount Vernon Trail in Arlington (about 32 minutes away). 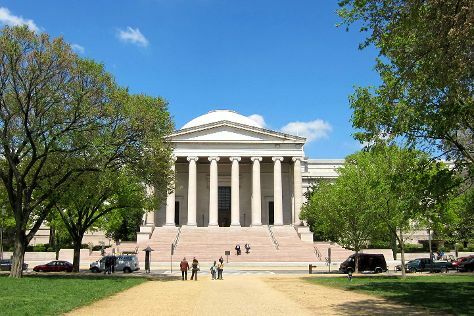 The adventure continues: explore the world behind art at National Gallery of Art, admire nature's wide array of creatures at National Zoological Park, get a sense of history and politics at White House, and admire the landmark architecture of Washington National Cathedral. To find more things to do, maps, traveler tips, and more tourist information, read Washington DC trip itinerary maker app . Fly from Atlanta to Washington DC in 3.5 hours. Alternatively, you can do a combination of flight and train; or drive. Traveling from Atlanta in February, expect Washington DC to be slightly colder, temps between 10°C and 0°C. Finish your sightseeing early on the 23rd (Sat) to allow enough time to travel to New York City. New York City is known for museums, nightlife, shopping, historic sites, and parks. Your plan includes some of its best attractions: don't miss a visit to Central Park, take in panoramic vistas at Empire State Building, admire the striking features of Grand Central Terminal, and steep yourself in history at 9/11 Memorial. For reviews, photos, maps, and other tourist information, you can read our New York City trip itinerary maker . Traveling by flight from Washington DC to New York City takes 3.5 hours. Alternatively, you can take a train; or drive. In February, plan for daily highs up to 9°C, and evening lows to -1°C. Cap off your sightseeing on the 28th (Thu) early enough to travel to Montreal. Kick off your visit on the 1st (Fri): don't miss a visit to Notre-Dame Basilica, then explore the world behind art at The Montreal Museum of Fine Arts (Musee des Beaux-Arts), and then take in the spiritual surroundings of Saint Joseph's Oratory of Mount Royal. Here are some ideas for day two: get engrossed in the history at Pointe-a-Calliere Museum, learn more about the world around you at Biodome de Montreal, and then take in the spiritual surroundings of Nostra Madonna della Difesa. 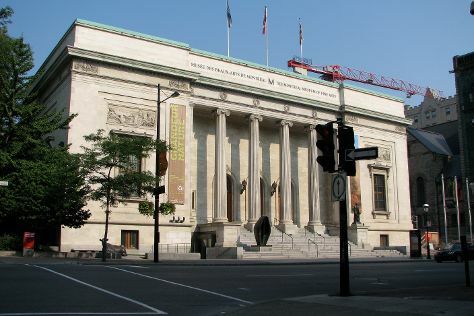 To see reviews, ratings, other places to visit, and other tourist information, you can read our Montreal trip planner. Getting from New York City to Montreal by flight takes about 5 hours. Other options: fly; or drive. When traveling from New York City in February, plan for cooler days in Montreal, with highs around -4°C, while nights are little chillier with lows around -12°C. Wrap up your sightseeing on the 2nd (Sat) early enough to travel to London. London is known for museums, nightlife, historic sites, shopping, and parks. Your plan includes some of its best attractions: explore the world behind art at National Gallery, admire the striking features of Westminster Abbey, examine the collection at The British Museum, and snap pictures at Tower Bridge. To find photos, more things to do, reviews, and more tourist information, refer to the London journey planner. Fly from Montreal to London in 10.5 hours. Alternatively, you can do a combination of train and flight. Traveling from Montreal to London, you'll lose 5 hours due to the time zone difference. Plan for a bit warmer temperatures traveling from Montreal in March, with highs in London at 11°C and lows at 3°C. Wrap up your sightseeing on the 7th (Thu) early enough to take a train to Paris. Step out of Paris to go to Versailles and see Palace of Versailles, which is approximately 48 minutes away. The adventure continues: contemplate the long history of Eiffel Tower, wander the streets of Le Marais, explore the world behind art at Musee d'Orsay, and pause for some serene contemplation at Cathédrale Notre-Dame de Paris. 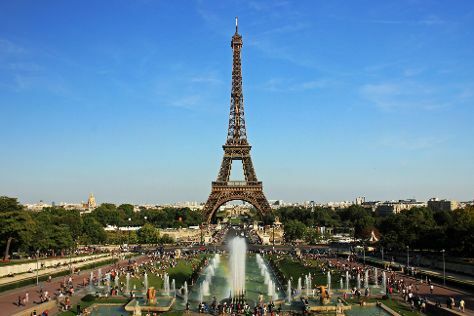 To see ratings, photos, traveler tips, and tourist information, refer to the Paris online trip builder . You can take a train from London to Paris in 2.5 hours. Alternatively, you can fly; or drive. The time zone changes from Greenwich Mean Time to Central European Time, which is usually a 1 hour difference. March in Paris sees daily highs of 13°C and lows of 3°C at night. On the 13th (Wed), wrap the sightseeing up by early afternoon so you can travel back home.